With APCA membership, you have a voice in preserving Ansley Park as Atlanta's most treasured in-town neighborhood. The APCA has always worked to maintain and improve the quality of life in Ansley Park, including safety and security through our Security Patrol. Below is a summary of work done by APCA committees. Works to identify and resolve health, safety and security issues related to the infrastructure and physical environment of Ansley Park. These include the maintenance and upkeep of streets, traffic signals, traffic signs, street signs, streetlights, fire hydrants, and sidewalks. Oversees communication on behalf of the association. This includes providing the website (www.ansleypark.org), a monthly newsletter, The Ansleyphile, and an E-Newsletter which includes important security updates. Also Provides the technology infrastructure to support the operations of the APCA. Serves as the liaison between the APCA Board and the Beautification Foundation regarding maintenance and long range planning for our neighborhood islands, parks and playgrounds. Responsible for reaffirming the unique nature of our neighborhood. The Committee seeks to remind residents of the historical nature of our area and to encourage residents to preserve and protect the landscape and the individual identities of the homes and apartments within our neighborhood. Manages the membership application and renewal process. Welcomes new neighbors and informs about the work and accomplishments of the APCA. The APCA administers the Security Patrol including scheduling officer shifts, providing information to the neighborhood about security incidents, taking security related calls on the Security Patrol hotline, communicating needs to security patrol officers. 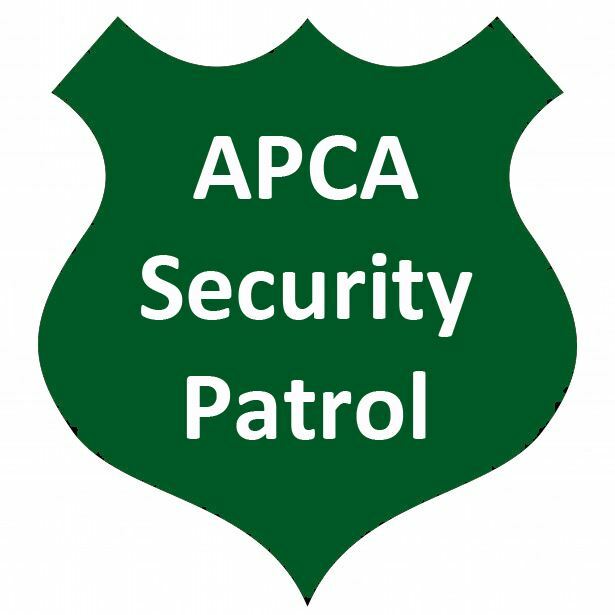 APCA pays all fees for online membership payments, essentially contributing approximately $5,000 to the Security Patrol since those funds do not incur online fees. Organizes all major neighborhood social events and activities that help to promote the quality of life in Ansley Park, including such events as the Holiday Caroling Party, Neighborhood Diners, Restaurant Travelers, "An Evening With..." series, High Museum Tours and many more. Formed to oversee implementation of traffic calming projects funded by Atlantic Station settlement in 2000. Addresses traffic issues in our neighborhood, such as pedestrian safety, driver confusion and speeding. Monitors building activity in and around the neighborhood to ensure that building permits are obtained and that construction is executed based on the approved plans. Also addresses noise violations and other infringements of the rights of our residents. If a need is identified outside the scope of the above committees, a task forces/ad hoc committee may be formed to to address the issue. Below are some examples. Provides support, guidance and education to residents and producers when it comes to filming in our historic neighborhood. Contact us when you are going out of town online (Security Patrol Out of Town Request Form), by phone (678-896-2309), or by sending us one of the Out of Town Request cards that are provided to you upon activation of your membership. A special card from Intown Hardware in Virginia Highlands which gives you 20% off security items. The knowledge that you are providing the safest community for you and your loved ones by helping us to provide maximum security coverage. *You may also make a separate donation to the APCA Security Patrol by clicking the "Donate" menu item above.